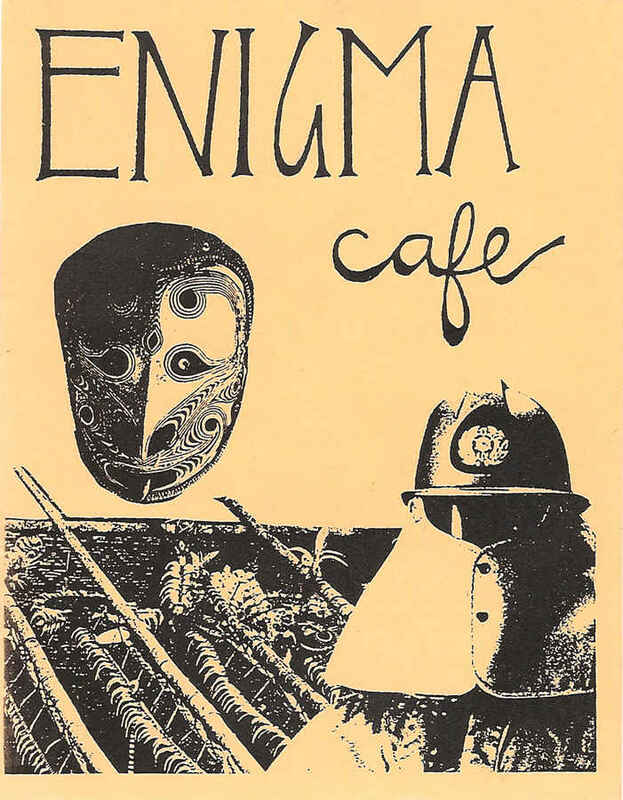 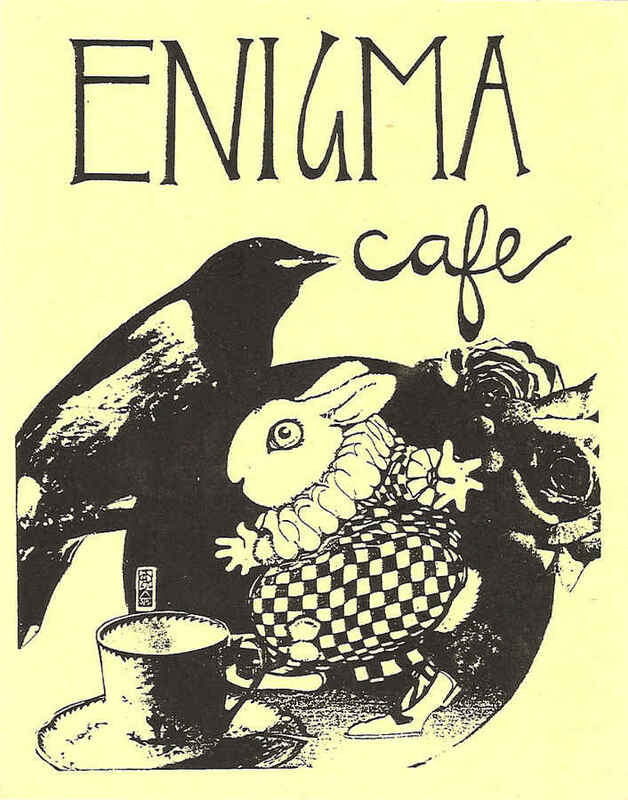 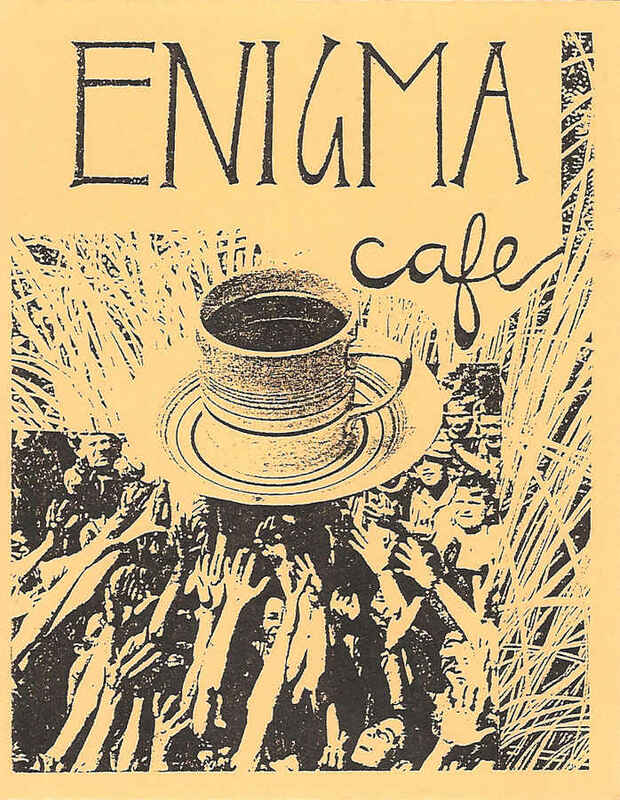 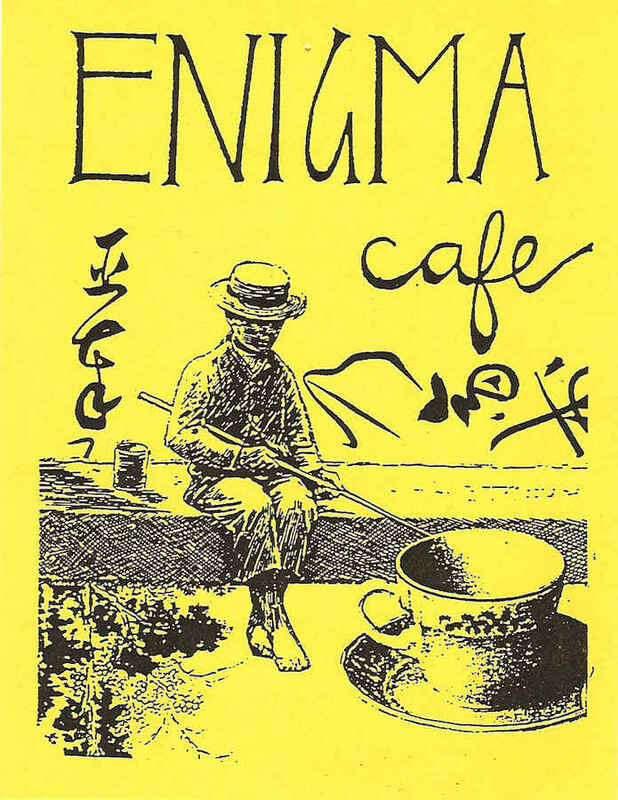 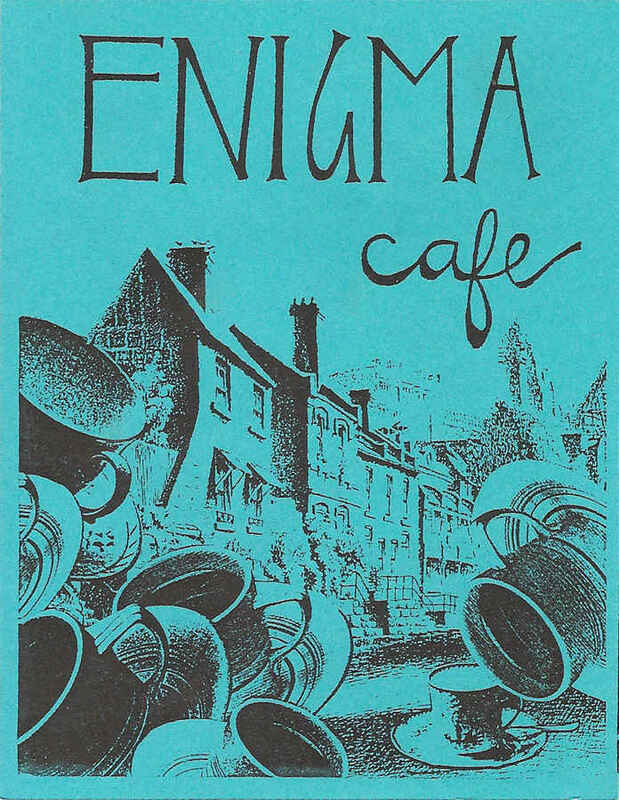 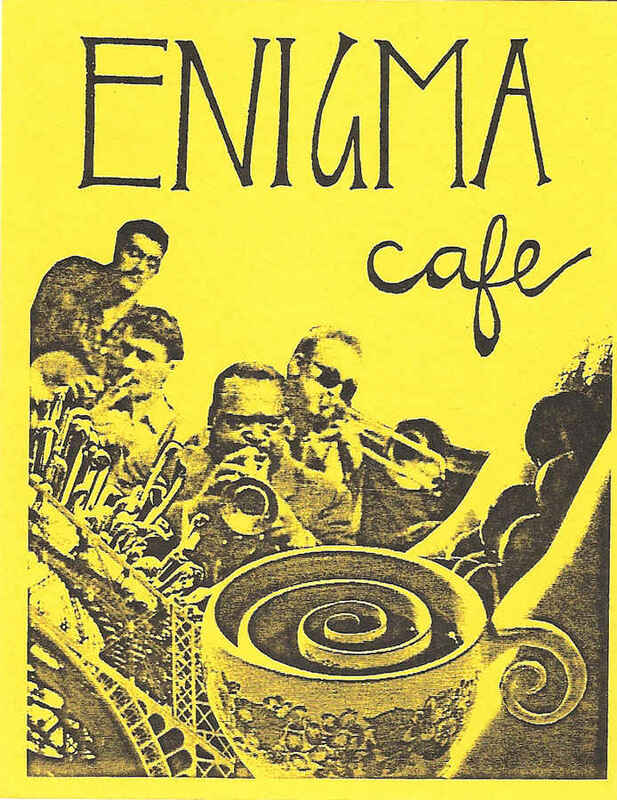 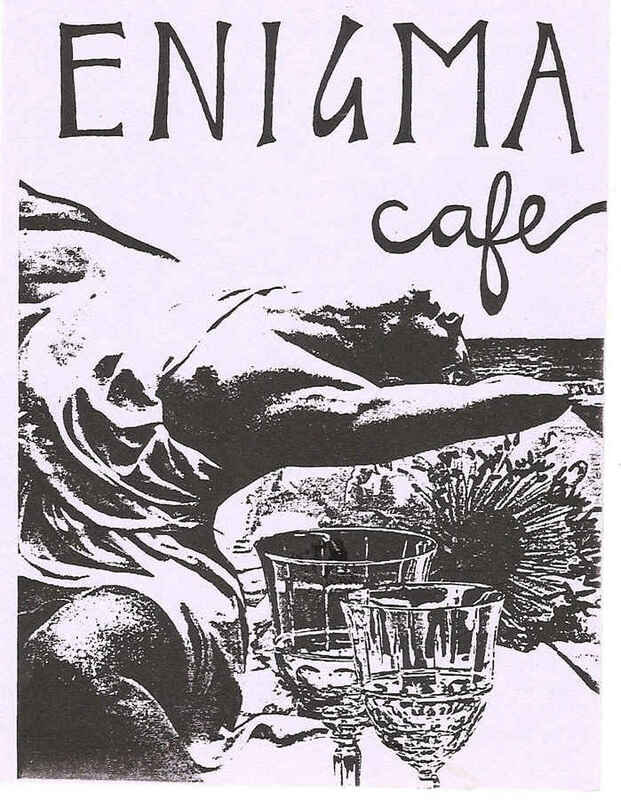 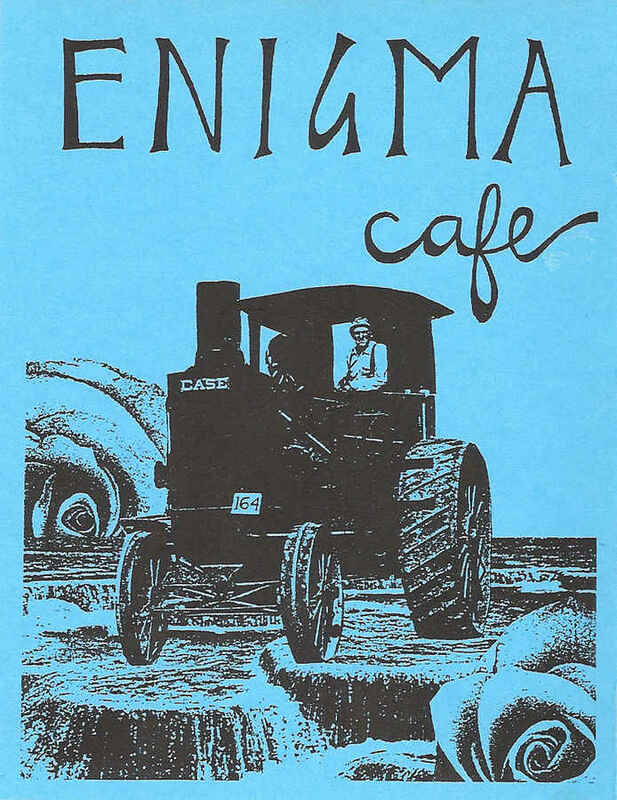 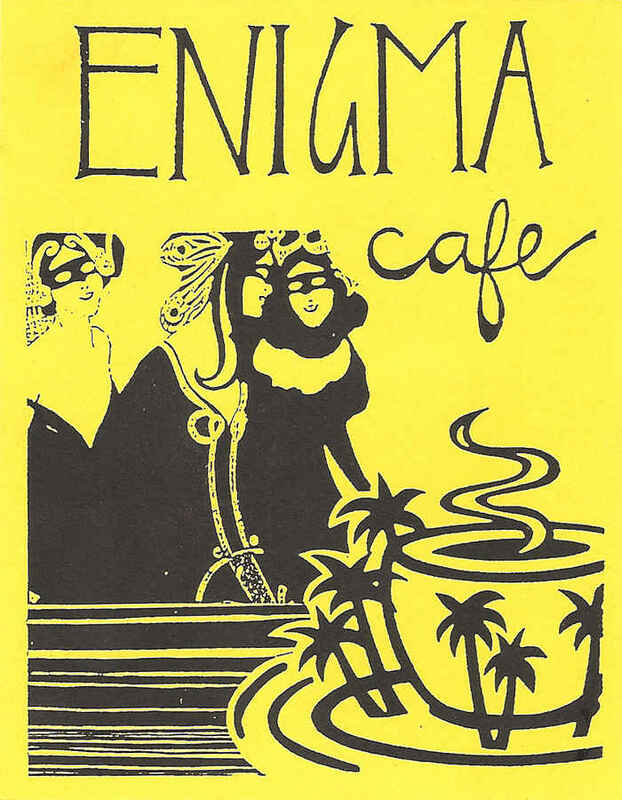 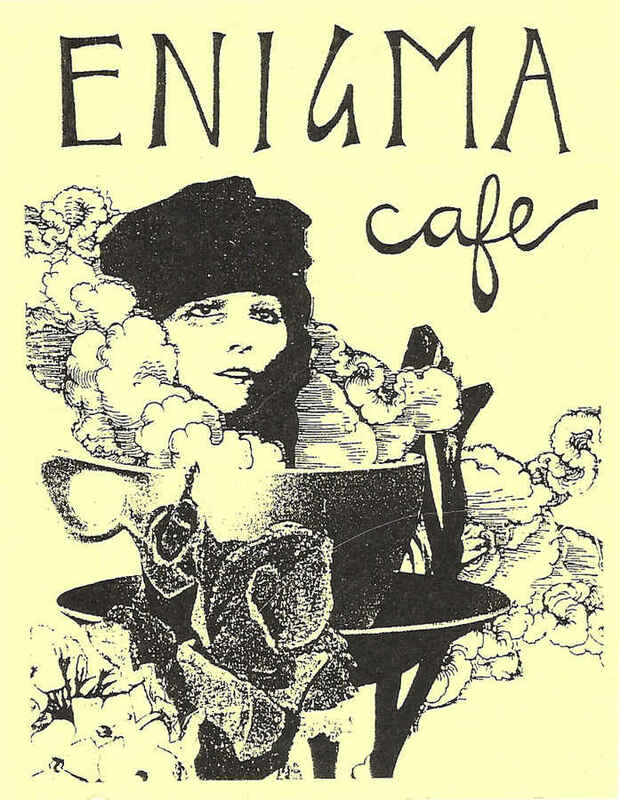 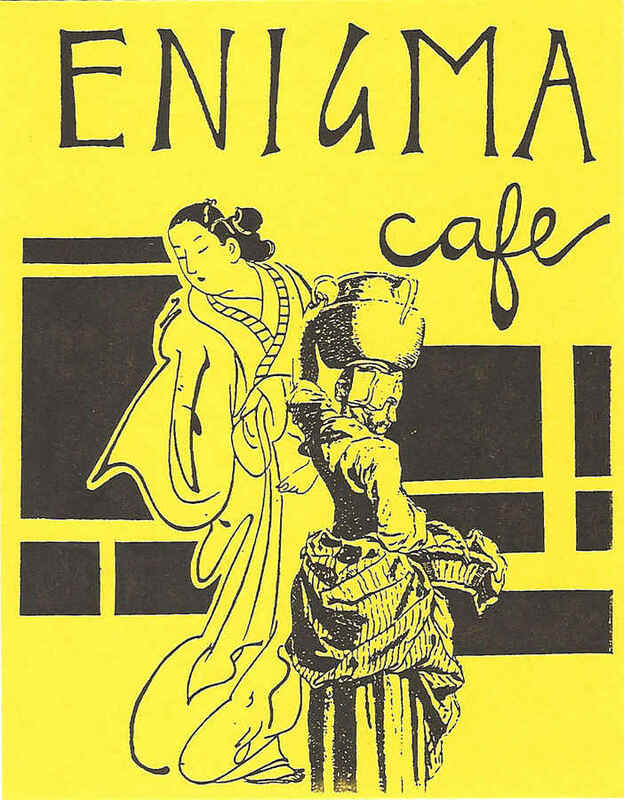 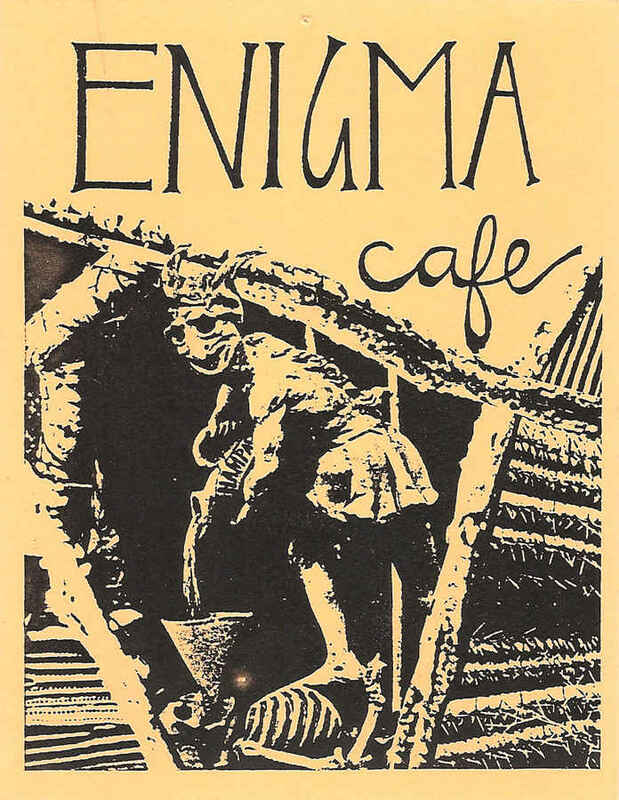 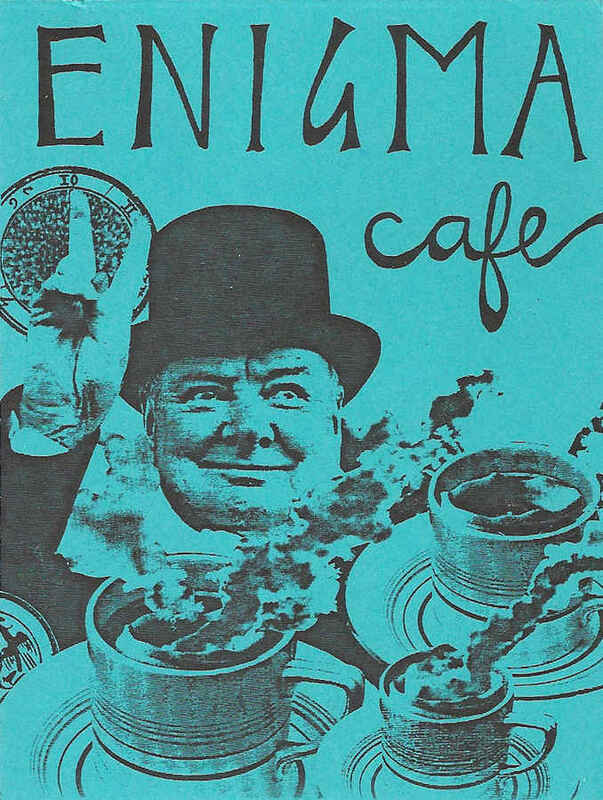 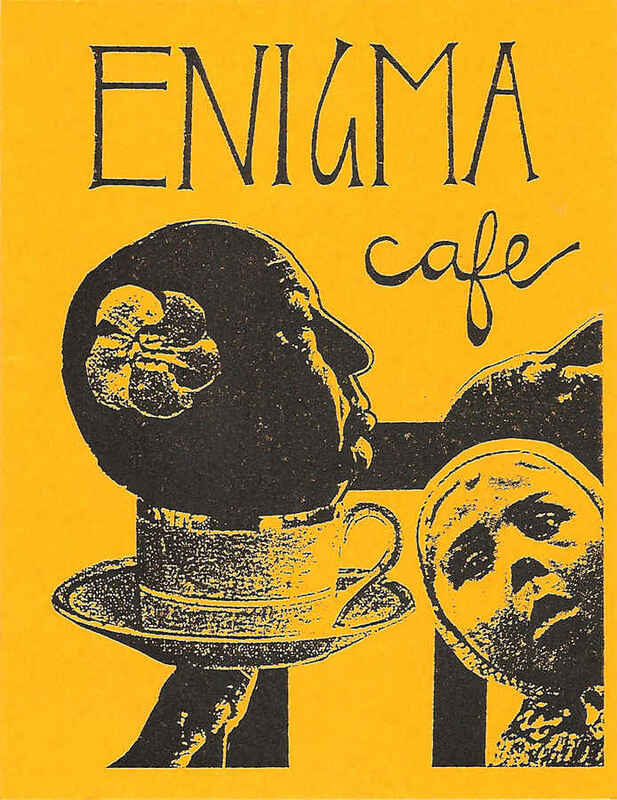 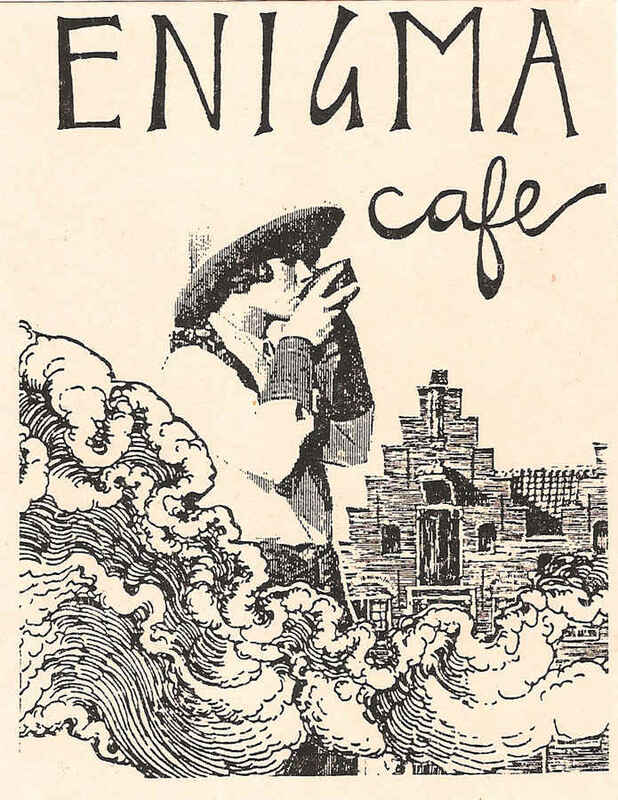 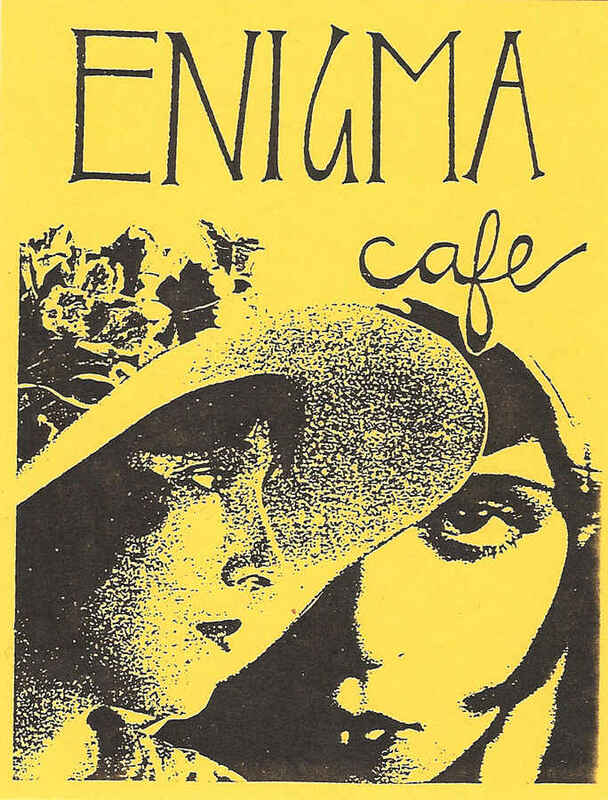 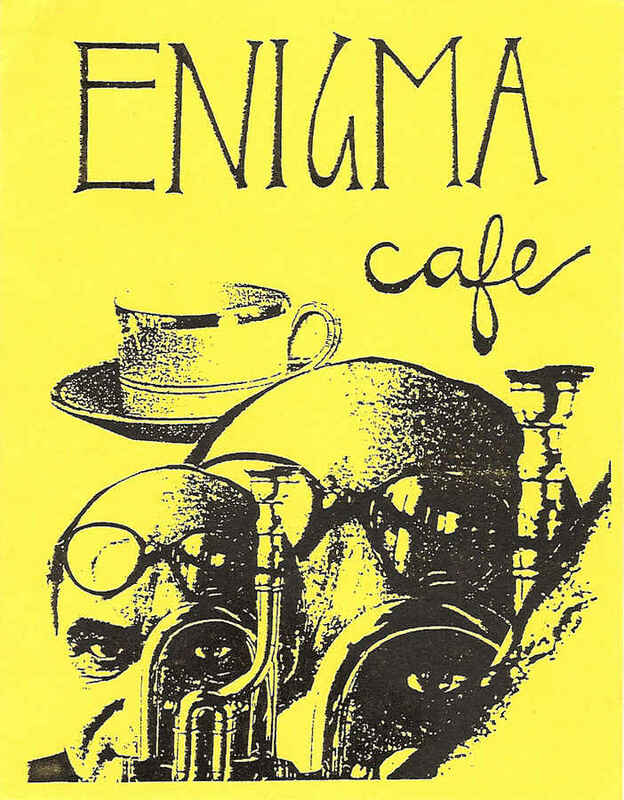 Julie Brewer&apos;s Enigma Garden Café was the focal point of the downtown Vegas art district for about five years. 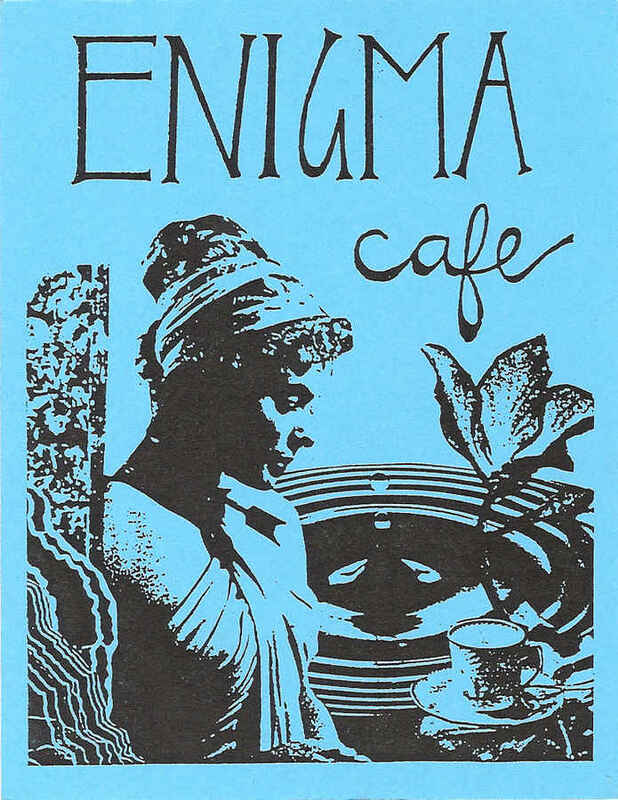 It was a garden, coffee shop, art gallery, and performance space. 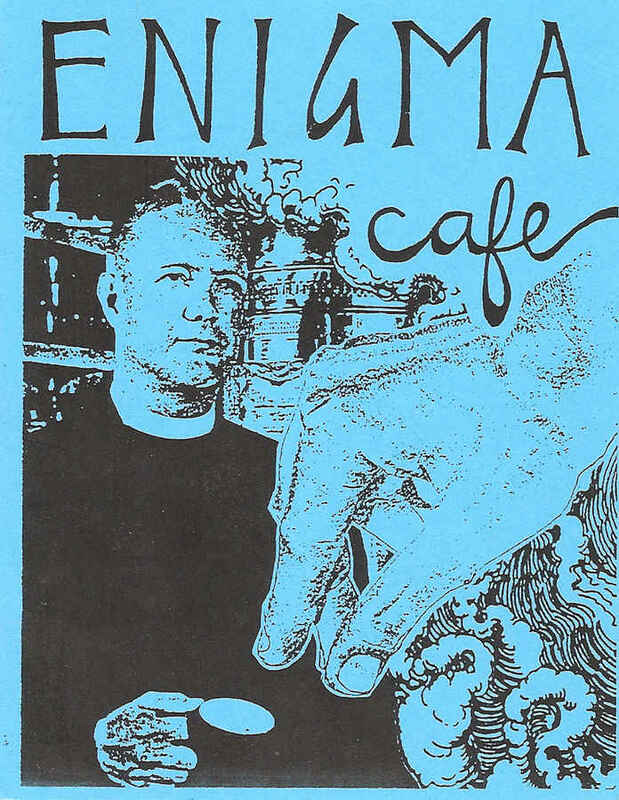 Mike Fuller of Moving Sun Productions had the idea and made the first flyers. 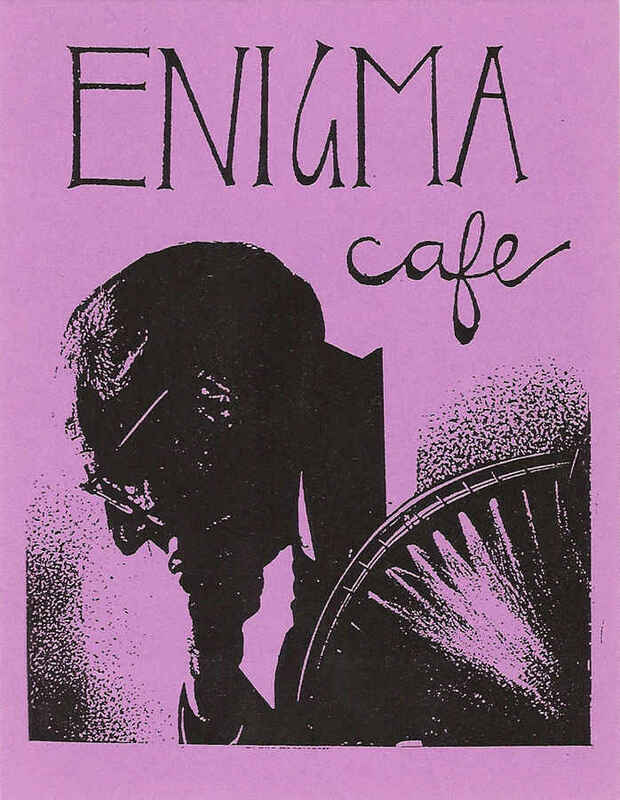 But Mike was segueing between learning to make digital flyers, and promoting his raves. 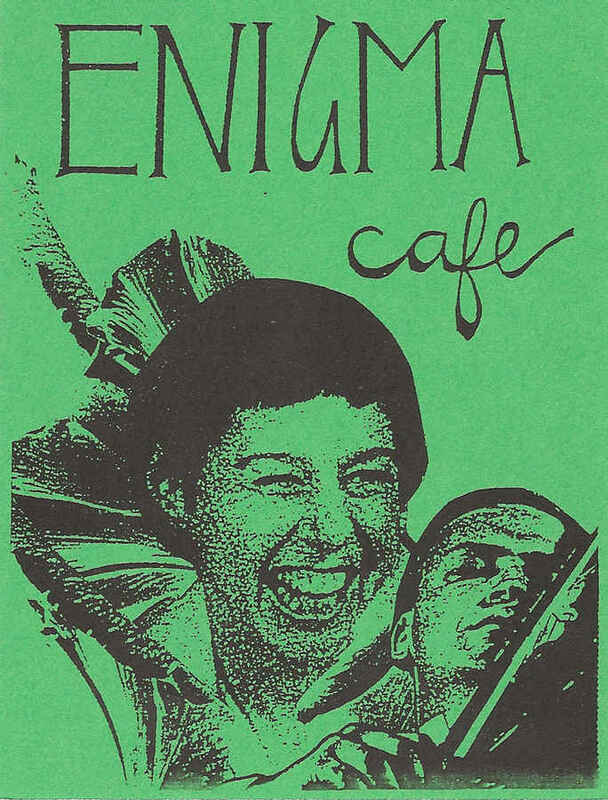 I made the monthly flyers for a few years. 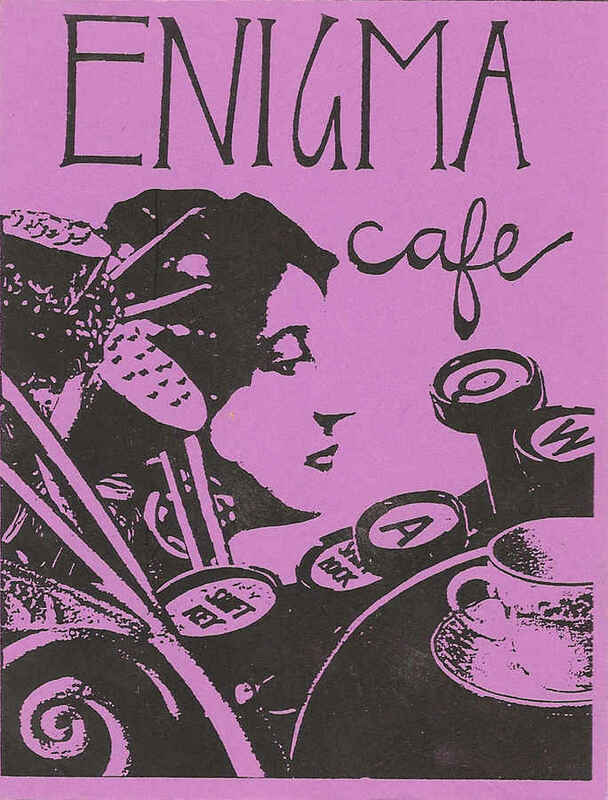 Julie Brewer hand-lettered the monthly calendar on the reverse side. 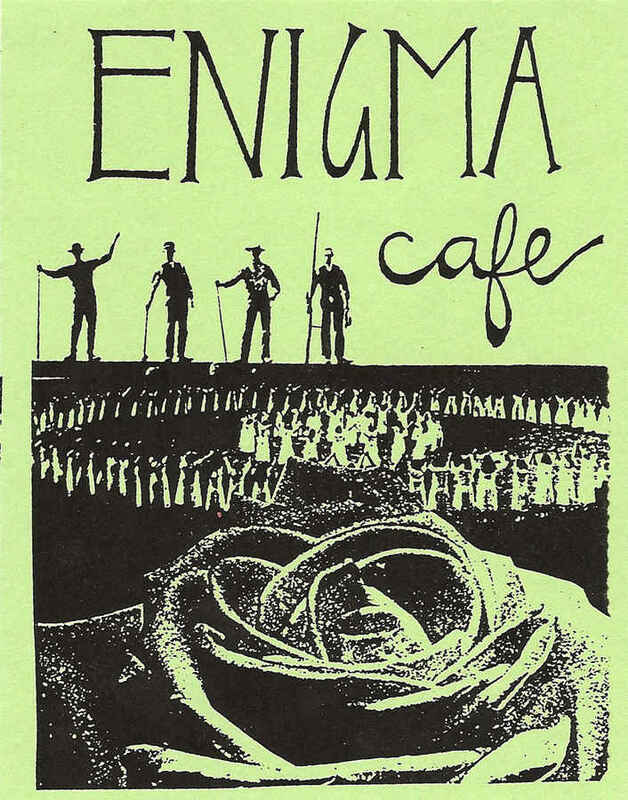 Generations of re-printing degraded the images before the flyers were printed. 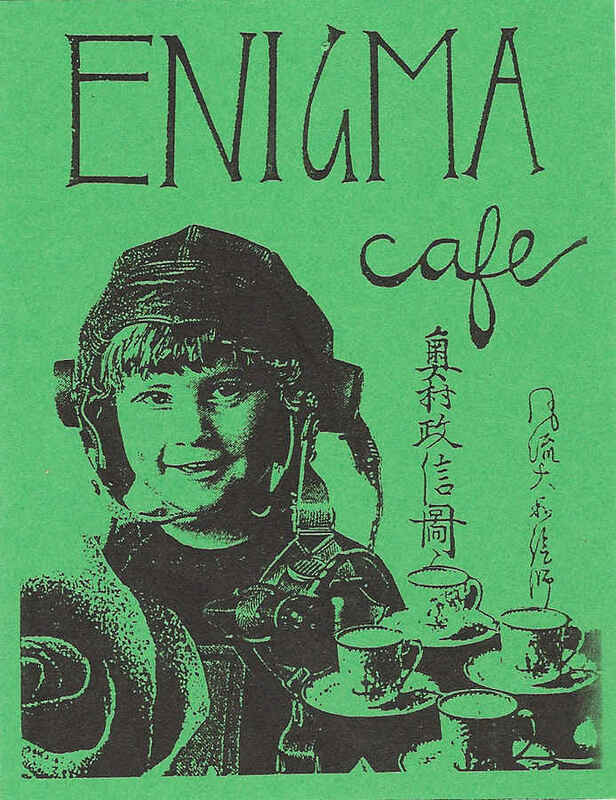 The initial images had to be sturdy to survive. 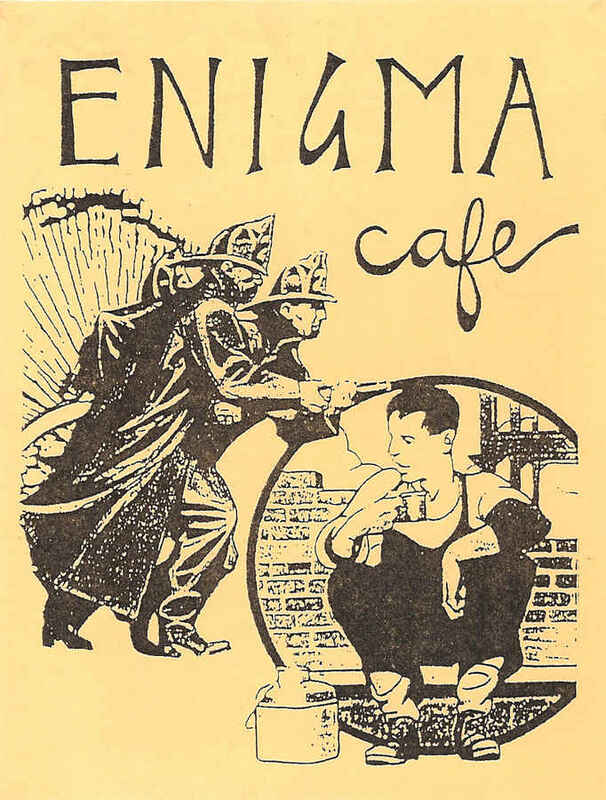 We halted producing the flyers when the online Enigma List debuted in about 1998.